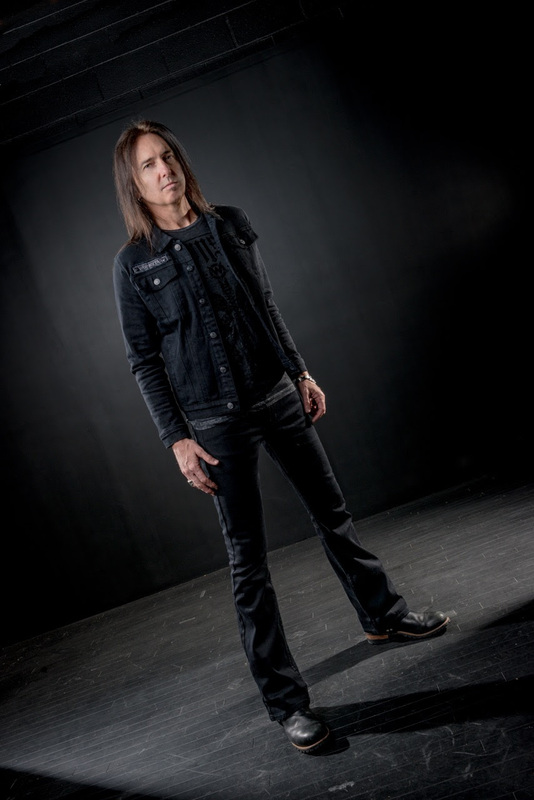 [separator style=”line” /] Senior journalist, Mark Dean, spoke to Damon Johnson, guitarist with Thin Lizzy and Black Star Riders, about upcoming tours and his latest EP, Echo, out now via Double Dragon Records. Your new EP, Echo, when and where was that recorded? Did you play everything and produce it also? Echo was recorded in spring of 2015 at Nick Raskulinecz’s Rock Falcon Studio in Nashville. Nick produced and mixed all 5 tracks. I played everything except the bass guitar (Tony Nagy) and the drums (Jarred Pope). Can you please give me a track by track breakdown of the songs on the EP. Tell me a little about the songs history, creation process, lyrical subject matter, and recording process. “Dead“: wrote this with my Slave To The System partner Kelly Gray. First rock song in history to contain a lyric about Krispy Kreme doughnuts. “Nobody Usin“: recorded this in a previous side project, The Motorbelly. New version contains Nick’s great rearrangement and loads of guitars. “The Waiting Kills Me“: my wife Lynda’s favorite song of mine for several years. Very proud of the guitar melodies and dynamics. “Just Move On“: a great jam track that we stretch the arrangement when performing it live. The vibe of this song is a nod to my days fronting Brother Cane. The key to a song’s life is actually playing those live before an audience. Have you managed yet to perform any of the tracks live? Perhaps on one of the regular jaunts that you have with Ricky Warwick? If not, do you envisage breathing live life into them? Ricky and I performed “Dead” on acoustic on our tour of Europe in May of this year. And my solo band has played a handful of U.S. dates this spring. More solo dates in North American coming this fall. You seem to be eternally on the rock-n-roll touring circuit with Ricky. How would you describe your relationship with him, both on a personal and professional level? Ricky is my brother. We have an extraordinary chemistry as songwriters and performers. We clicked instantly when we first began writing for Black Star Riders in 2012, and our performances as an acoustic duo in Warwick/Johnson are some of my favorites ever. We have loads of new music to create moving forward. Anniversary festival shows lined up with Thin Lizzy this summer. I understand from previous chats with you that you grew up listening to the band that you went to join. Any surprises in those festival sets? Do you guys all have direct input and suggestions into the set list, or is that solely Scott’s decision? Any rarities or gems that you personally like to have the chance to play with Scott and the guys? We are honored to have Tom Hamilton and Scott Travis joining us on these summer festival dates. Ricky and Scott and I put the setlist together for this year’s dates (Scott is always very interested in our thoughts about that). As we are only performing six concerts, we are keeping the setlist heavy on the hits that fans know and love. Those dates will include some quite special guests. Have you previously had the opportunity to play with Scott and Tom? Have tour rehearsals begun as yet for those festival shows? If not, then when and where? If they have, then how was that? Following on, what is your first memories of hearing Aerosmith and Judas Priest? A record or a show or maybe both? Rehearsals will commence this coming Saturday in London. Scott Travis and I have been friends since we met in 2011 when Thin Lizzy opened for Judas Priest in the United States (we have performed together more since then). Aerosmith informed my early bands (particularly Brother Cane) probably more than any other single band. Brother Cane opened for Aerosmith in 1994, which was a career highlight for me. Tom was always gracious and very interested in what we were doing musically. It is truly an honor to have a legend of his caliber and accomplishments involved in Thin Lizzy this year. 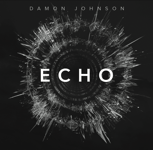 Returning to the EP title, Echo following previous titles, Dust and Release Is there a definite link or pattern, or do you just favour one word titles? That is indeed to case (Dust and Release were both full length albums, rather than EPs). My wife brought up that point and suggested the word ‘echo‘ for this album. That word, for me, suggests there is a familiarity to me fronting a full electric band, which I haven’t done for several years. What are your thoughts on fan funded schemes like Pledge, and also on VIP packages which bands seem increasingly offering? I’m supportive of any and all ways for artists to express themselves and get that content out to their fans. VIP packages can be very special, if the band is passionate about making them so. Anytime I’ve been involved in them, I am committed to “over-delivering” on the experience for the fan. It has to be special, for the fans are paramount. Would you have done anything differently in your career. No. Maybe would have started writing lyrics a few years earlier, in the beginning. Pros and cons of earning or trying to earn a living as a professional musician in 2016. It’s all very positive. I can’t think of anything more fulfilling than playing music for a living, regardless of how much revenue it generates.